Designing high-performance polymer products for the most challenging engineering projects. Designing injection molded thermoplastic solutions for the most challenging engineering projects. 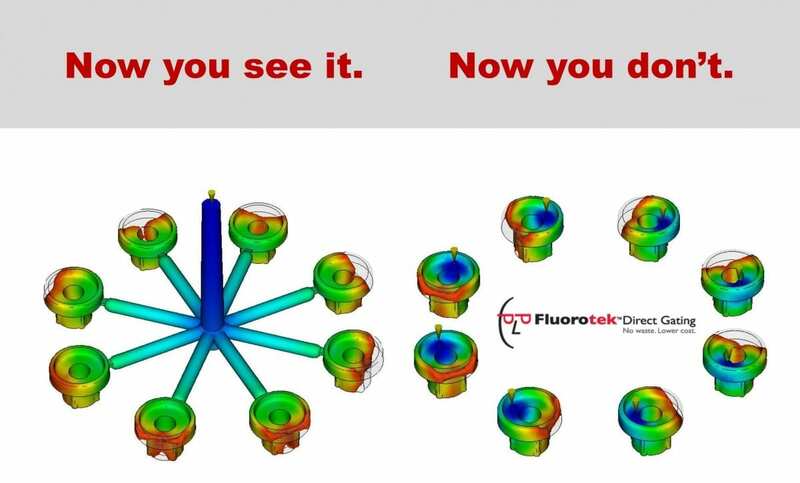 Performance Plastics designs custom molded plastic components – from Torlon® aircraft maintenance tools to PFA and FEP parts for the medical industry to PEEK poppet valves to compressor plates – that are used by hundreds of companies worldwide. We leverage our high-performance polymer expertise to develop thermoplastic compounds possessing properties designed to meet or exceed performance expectations. We are experts in precision injection molding. We have developed proprietary tooling, equipment and processes that produce custom molded plastics such as fluoropolymers, ULTEM®, PEEK and Torlon®. We have developed tooling techniques that facilitate the overmolding of complex inserts commonly thought to be to be too thin or complicated to mold. These techniques provide our customers greater design flexibility to develop next generation products.